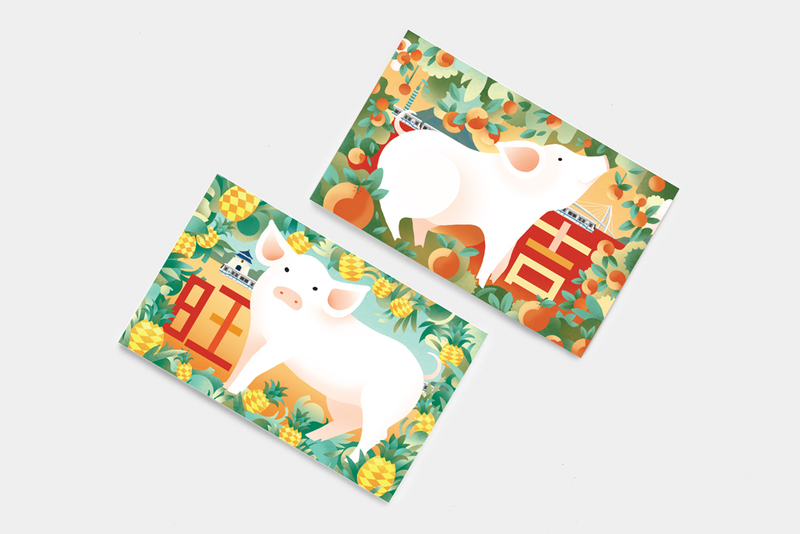 On Saturday, January 26th, the Taipei Metro will release 800 limited-edition MetroCards, featuring the Chinese Zodiac of the New Year (year of the pig). 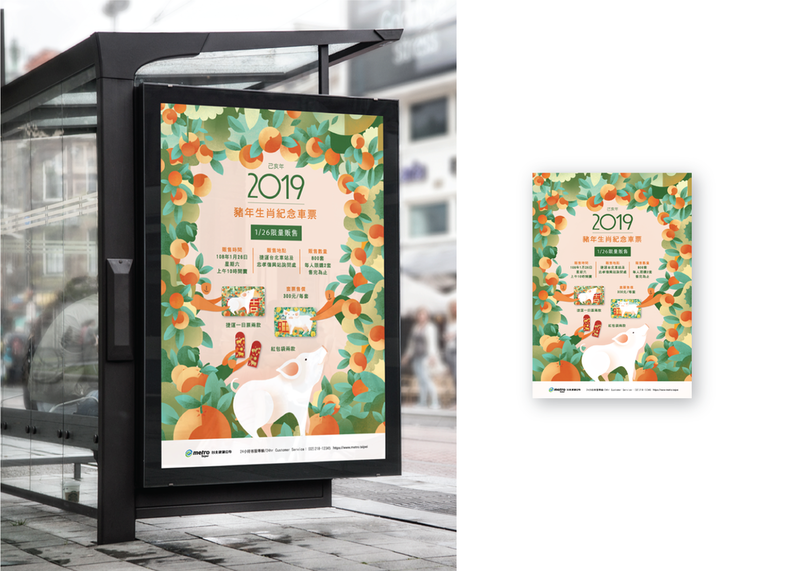 The illustration shows the essence of the Pig Year, Taipei Metro and iconic spots in Taipei. The main character, the Pig, has a smoothly outlined body, plump legs and chubby cheeks. 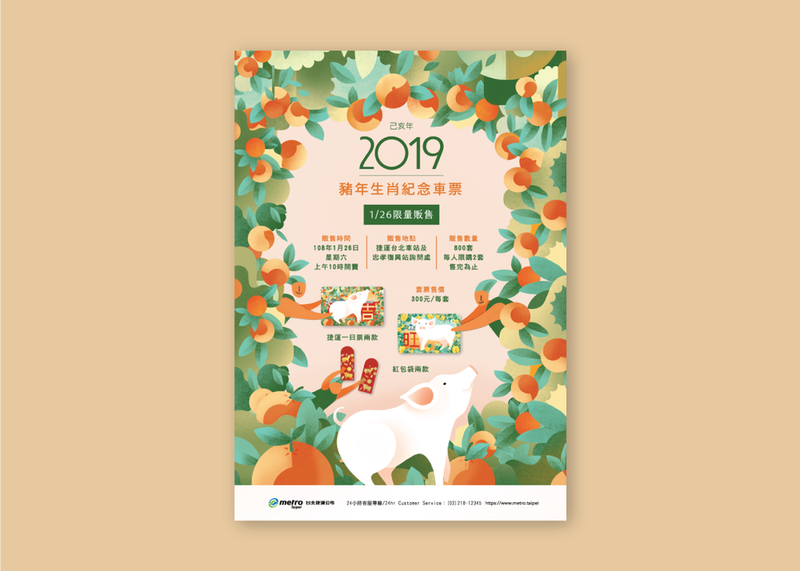 The pig is also surrounded by oranges and pineapples that symbolized propitiousness and prosperity. There were 2 sketches that I proposed to the clients. In each, they show different ideas, colouring methods and different characters of the pigs. We decided to use Sketch B and I continued to draw another sketch which would be a pair of the designs. I also designed the structure of the package. It was transformed from concertina book binding. We sticked 6 pages from the back to make it a 4-page booklet. It was a challenge to make 3 layers of hot foil stamping and using 6 colours in 2 designs. We have tried 24 combinations of the print and choose to use gloss red, gloss gold, matte gold, matte bronze, gloss pink and orange on the red envelopes.